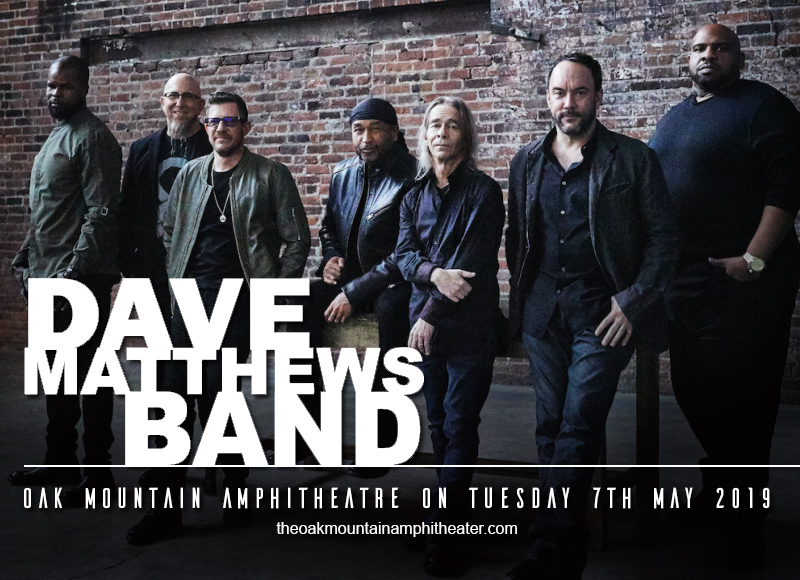 Dave Matthews Band will come crashing into this side of town on Tuesday 7th May 2019 at the Oak Mountain Amphitheatre. This tour, in particular, is a major comeback of sorts for this tireless and unstoppable touring band. After celebrating their 25th anniversary last 2016, they decided to take a long-deserved hiatus. Now they're returning in a major way by not only getting back on the road after more than 12 months of prepping up, but they're also dropping a new album to boot. Now that's a double whammy of surprises and thrills for fans think that the hiatus took like forever. Fret not, DMB is back to their element, better, stronger, and energized more than ever to pull off this highly anticipated amazing summer tour. Lock-in this date and book tickets, pronto! Apart from their outstanding, exemplary discography, Dave Matthews has cemented their reputation as a formidable live act. Like modern-day pied pipers, devoted fans follow their live concert tracks and always look forward to the next trek. Records from Pollstar attest to the fact that they were the highest-grossing North American touring act of the decade beginning in 2000, grossing nearly $530 million. And yes, they've outpaced some 'superstars' in this arena. What's the secret to their somewhat hypnotic and staying power? Dave Matthews Band feeds on the live energy of the crowd and their spur-of-the-moment creative instincts. Hence, it can be said that no live shows run exactly the same. There's always a surprise that pops out of the box. Their lengthy improvisational jams and what some call 'Davespeak' is astonishingly appealing to the audience. And of course, the music trumps them all. "Crash into Me,” “What Would You Say,” “Satellite,” “Ants Marching”, “So Much to Say” , and many, many more, keep audience entranced for hours. With the prolific breadth and depth of their discography, extensive critical acclaim, The Dave Matthews Band have been nominated for 14 Grammy Awards to date, winning for Best Rock Vocal Performance by a Duo or Group for the song “So Much to Say” in 1997, which remains as their lone Grammy win as of yet. But who's counting? DMB's most ardent and loyal fans always keep tabs of their live shows and they make sure not to skip a beat. Save the date and lock those tickets in. This is one of 'em shows ain't worth missing.